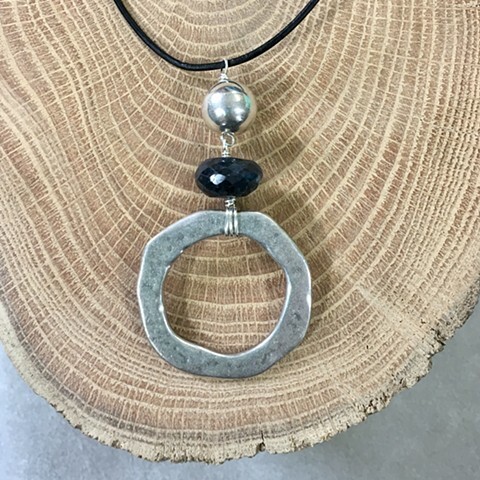 A rich, faceted black labradorite rondelle with silver bead and zinc circle pendant on black leather cord. Approx. 16 1/2-18 1/2" with sterling lobster claw closure and 2" extender chain.